I have a soft spot for the mall in Century City. When I first moved to Los Angeles (over twenty years ago) I worked for LFP Publications in the daytime and took a second job at the Crate and Barrel in the Century City mall at night. It’s where I was welcomed to the city by comedian Carol Burnett who proclaimed that I would, “ just love it here” while I wrote up a shipping slip for her new kitchen table. It was also in that Crate and Barrel (now long gone) where I experienced my first earthquake, cowering under a cash register while $2 juice glasses crashed around me. Later, when I came to work at Los Angeles magazine, I covered the blow-out opening of Bloomingdales in the mall that featured a stand-up routine by Jerry Seinfeld and performance by John Mellencamp. 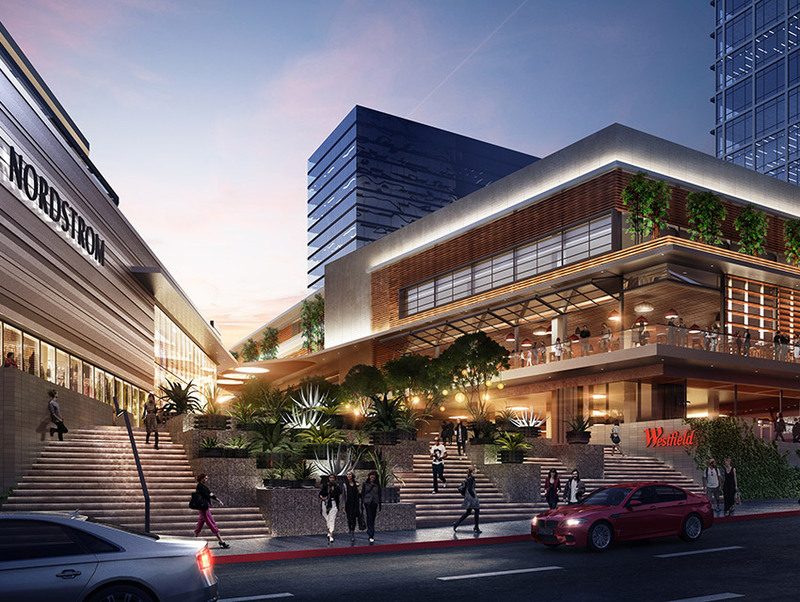 So, what happens there interests me and what is upcoming at the Westfield Century City will interest you. Yesterday Mayor Eric Garcetti, Westfield Co-CEO Peter Lowy and Westfield Century City General Manager David Burke got up before a packed terrace full of city officials, community leaders, and journalists to raise a glass at the preview of the fancification of the Westfield Century City. The SRO crowd included businessman Steve Bing and Supervisor Mark Ridley Thomas who all got excited about the West Coast’s first Eataly, the promise of even more gorgeous outdoor space and new shops, the doubling of the parking spaces, and access to the mall via the future Purple line subway extension. “In truth, this project started when we purchased the mall in 2002,” Lowy explained. “We knew our center wasn’t serving our community in the way it should be. So we asked our customers a simple question. What do you want and what do you need? What we heard was a desire for a destination that not only has great shops and more choices but also a place to relax and unwind. More stores, more restaurants and most importantly more convenient parking.” This was followed by cheers. Mayor Garcetti was up next, “We are so excited that Century City will be the hub, the geographic heart of not just our public transportation system but of this city as it well deserves to be once again,” he exclaimed. “I’ve seen the evolution of this mall since I was a kid coming here when it was closed, semi-open, and now we’re going to see a full re-embrace of the topography and the weather and the beauty that is Los Angeles right here.” He also praised the jobs and revenues the project would bring. 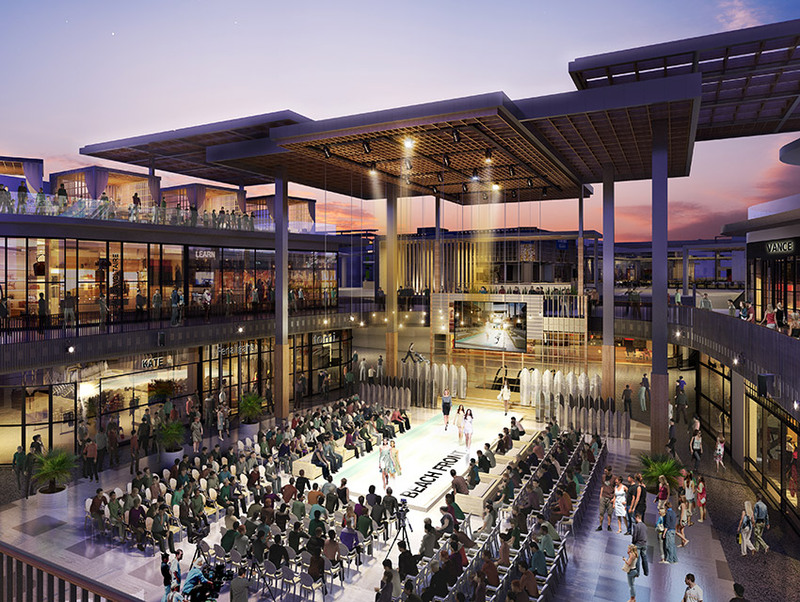 The mall represents an $800+ million investment and the first phase will be completed in time for the holidays in 2016. 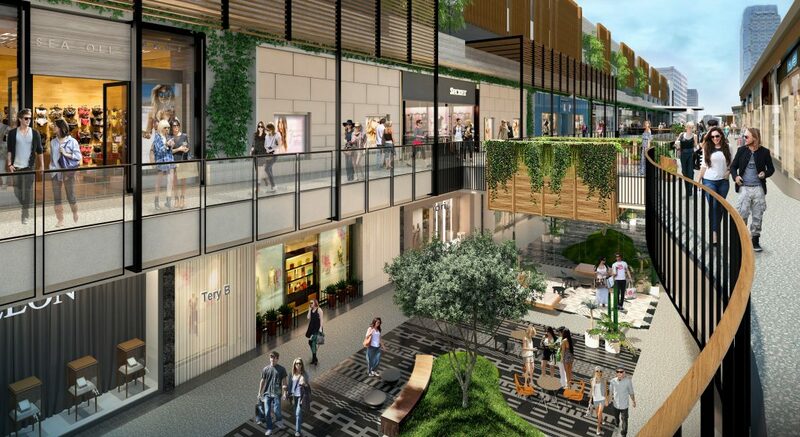 There will be a fancy three-story Nordstrom and a re-vamped Bloomingdales in the eight acre open space. Kelly Wearstler will be designing the interior space…which is outside. Now that you will actually be able to get a parking spot, be sure to check it out.